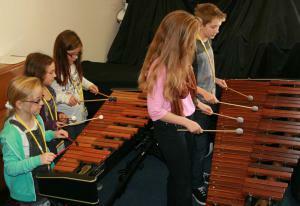 Tuned percussion is a group for young people who don't necessary own their own instrument but enjoy making music. Ability to read music is helpful but not essential. We play all types of music and genres. Playing different parts of a piece & knowing where it fits in to the whole.